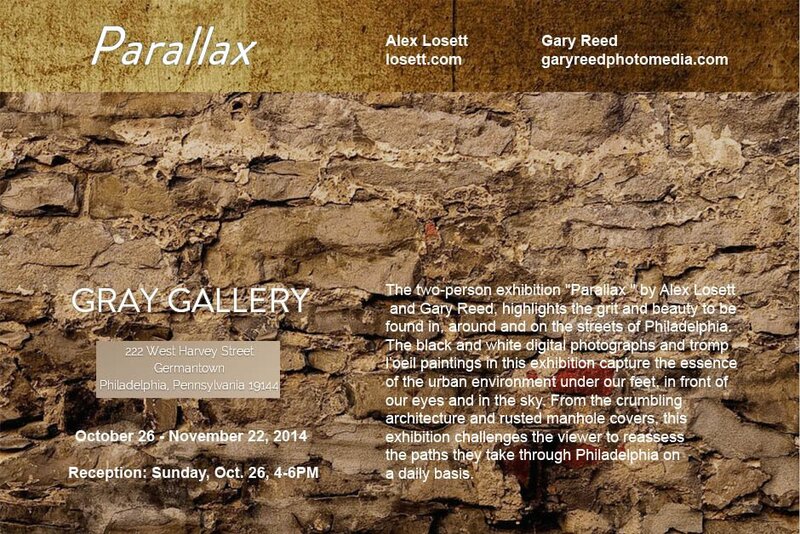 In October 2014 the Gray Gallery will open its doors for the second exhibition of the inaugural year, Parallax. The artists in this two-person exhibition are Alex Losett and Gary Reed. The black and white digital photographs and tromp l’oeil paintings in this exhibition capture the essence of the urban environment under our feet, in front of our eyes and in the sky. From the crumbling architecture and rusted manhole covers, this exhibition challenges the viewer to reassess the paths they take through Philadelphia on a daily basis.